The Internet is gaining its popularity at an exponential rate by providing easy access to users to any information available on the internet. All brands and companies have realized the need for having an online presence as it has given them access to their target audience and maximum brand exposure. Any person who wants to surf the web for anything they resort to search engines for giving them the desired result. Popular search engines like Google have all the information and links to the topic or information the user may be looking for. However, even on search engines maximum visibility is important by having a high ranking for your website. This can be achieved through implementing SEO strategies that involve various methods to be used for higher search engine ranking. 1.Broken Link Building – The basic concept behind broken link building involves a simple technique where the user must find the broken links to their business website on Google by using the right keyword related search. By running the free broken link checker plug in you can find all the 404 broken links on the respective pages. After the broken links are found the user can write good and appealing content that can be used to replace it and email the webmaster regarding the change. 2.Resource Links – People looking for learning, checking facts on anything they resort to the Internet for resources as they are the most common source of information on the Internet. Search engines measure a website’s value and relevance by analyzing the links to the site from other websites. Create better content than the current top performers. Try to get as many people as possible to link to your account. The end goal in this technique is not to copy ideas and content from other posts but to create your own good content to gain more popularity for the website. 4. Guest Blogging – This technique carried out with the sole purpose of sharing information, it can be used to drive in huge amounts of traffic from social media platforms. Link building can be of huge help for the website if the user finds trustable and relevant websites for linking. Instead of focusing on creating millions of links for better ranking it is beneficial if the user creates good content that can drive in more people and increase the websites relevancy through it. 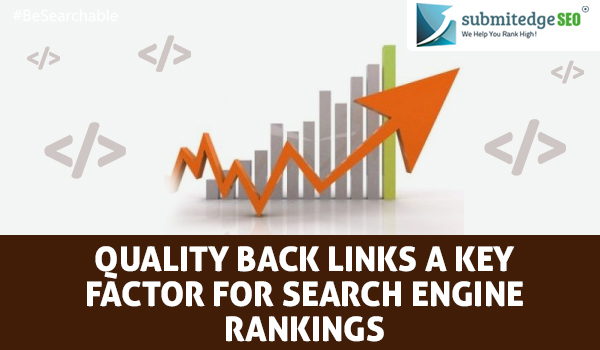 Once quality content is posted then people will notice it and provide with quality back links.